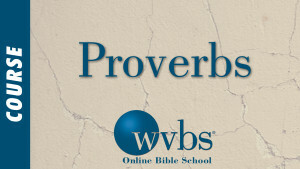 This video lesson gives a brief overview of the Old Testament book of Proverbs. 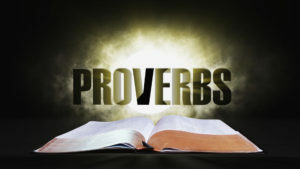 Mike Vestal covers some of the main events and themes of these books, including gaining wisdom and insight in righteously applying God’s will in every area our lives. This video lesson gives a brief overview to the books of the Old Testament. In it Mike Vestal covers some of the main themes, including how the Old and New Testaments go hand-in-hand and are interconnected. 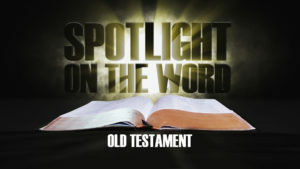 This video lesson gives a brief overview of the importance of the Old Testament. Mike Vestal covers the main themes of prophecy, especially how each Old Testament book speaks about the coming of the Christ. This video lesson gives a brief overview of the Old Testament book of Genesis, a book of beginnings. Mike Vestal covers some of the main events and themes of the book, including God’s overarching plan from the beginning of time of man’s redemption through Christ. This video lesson gives a brief overview of the Old Testament book of Exodus. Mike Vestal covers some of the main events and themes of the book, including the key idea of God’s deliverance and mercy. This video lesson gives a brief overview of the Old Testament books of Leviticus and Numbers, books of law. Mike Vestal covers some of the main events and themes of these books, including how God should be approached in worship and in service. This video lesson gives a brief overview of the Old Testament book of Deuteronomy. Mike Vestal covers some of the main events and themes of this book, including the importance of our complete obedience to God and His love for us. This video lesson gives a brief overview of the Old Testament book of Joshua. Mike Vestal covers some of the main events and themes of this book, including the conquests of the nation of Israel. 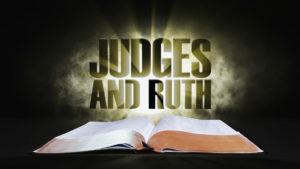 This video lesson gives a brief overview of the Old Testament books of Judges and Ruth. 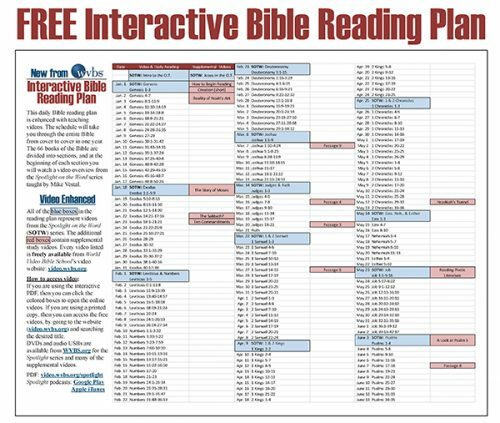 Mike Vestal covers some of the main events and themes of these books, including Israel’s backslide into sin and God’s redemptive care. This video lesson gives a brief overview of the Old Testament books of 1 & 2 Samuel. 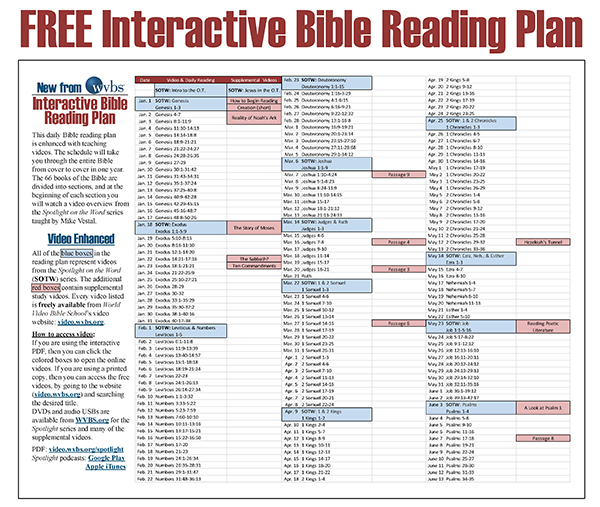 Mike Vestal covers some of the main events and themes of these books, including a study of the lives of Samuel, Saul, and David. This video lesson gives a brief overview of the Old Testament books of 1 & 2 Kings. Mike Vestal covers some of the main events and themes of these books, including the change and upheaval of the nation of Israel’s kings. This video lesson gives a brief overview of the Old Testament books of 1 & 2 Chronicles. Mike Vestal covers some of the main events and themes of these books, including Israel’s history from a religious perspective and God’s faithfulness to His people. 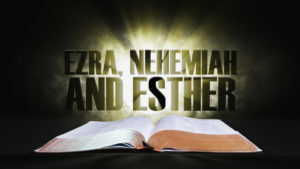 This video lesson gives a brief overview of the Old Testament books of Ezra, Nehemiah, and Esther. Mike Vestal covers some of the main events and themes of these books, including studying a key idea of restoration. This video lesson gives a brief overview of the Old Testament book of Job. Mike Vestal covers some of the main events and themes of these books, including how we, as God’s people, can look at Job’s example of the correct way to deal with pain and suffering. This video lesson gives a brief overview of the Old Testament book of Psalms. Mike Vestal covers some of the main events and themes of these books, including worship and praise to God. This video lesson gives a brief overview of the Old Testament book of Ecclesiastes and Song of Solomon. Mike Vestal covers some of the main events and themes of these books, including our purpose on Earth and the beauty of marriage. This video lesson gives a brief overview of the Old Testament book of Isaiah. 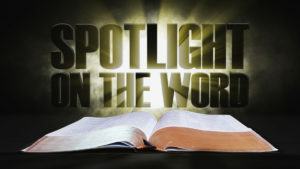 Mike Vestal covers some of the main events and themes of these books, including the many prophecies he gave about our Lord and Savior, Jesus Christ. This video lesson gives a brief overview of the Old Testament book of Jeremiah and Lamentations. Mike Vestal covers some of the main events and themes of these books, including God’s covenant with His people and His judgement. This video lesson gives a brief overview of the Old Testament book of Ezekiel. Mike Vestal covers some of the main events and themes of this book, including the glory of God. This video lesson gives a brief overview of the Old Testament book of Daniel. Mike Vestal covers some of the main events and themes of this book, including key idea that there is a God in heaven. This video lesson gives a brief overview of the Old Testament books of Hosea, Joel, Amos, and Obadiah. Mike Vestal covers some of the main events and themes of these books, including God’s love, return, and judgement. This video lesson gives a brief overview of the Old Testament books of Jonah, Micah, Nahum, and Habakkuk. Mike Vestal covers some of the main events and themes of these books, including the attitude we should have for our fellow man, what Lord requires of us, reminding us of who’s in charge, and how to have an unwavering faith. This video lesson gives a brief overview of the Old Testament books of Zephaniah, Haggai, Zechariah, and Malachi. Mike Vestal covers some of the main events and themes of these books, including God’s judgement, where our priorities should be, God’s purposes for the salvation of man, and our commitment to the Lord.